Agastache ‘Blue Fortune’ and ‘Black Adder’ are absolute powerhouse bloomers, offering sustained color from early July through October. 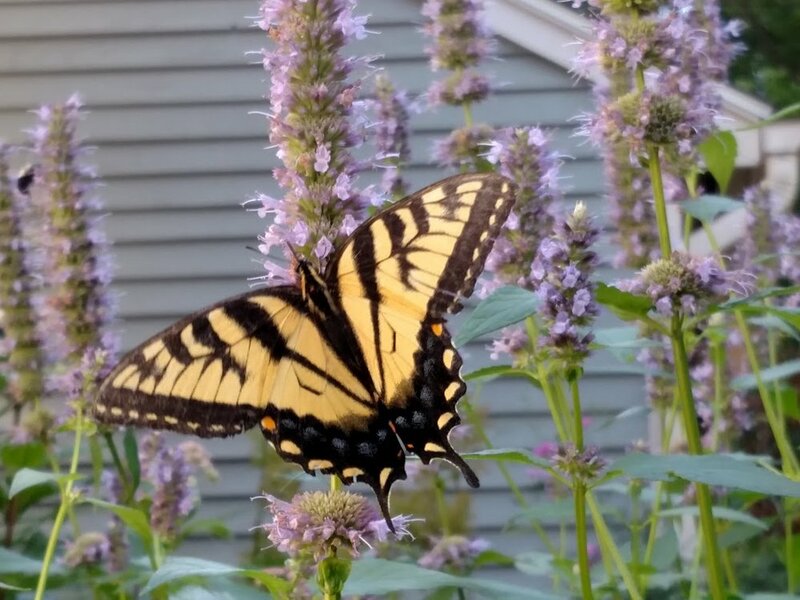 In an organic garden, they will attract non-stop pollinators and provide vital nectar in late summer and early fall when other perennials have lost their luster. Also known as “giant hyssop”, agastache varieties bloom in shades of purple, pink, red, yellow and white. All are guaranteed to garner the interest of Ruby Throat Hummingbirds. Leaves have a mint fragrance and can be used as a flavoring in tea. Smaller varieties like ‘Mango Tango’ will thrive in containers in a sunny location, providing good draining. Agastache can struggle to survive our harsh Zone 5 winters, so I do not cut mine down in fall, instead leaving them intact to protect the crown and provide winter interest. My ‘Blue Fortune’ plant has survived many New Hampshire winters, growing more stately every year. Location: middle of mixed border - give this lots of space! Agastache ‘Blue Fortune’ is the star of this bed from now through October, attracting dozens of pollinator varieties and helping to accentuate the undulating curves of the garden bed. While other perennials are coming and going, ‘Blue Fortune’ offers consistent bloom, fragrance, and cut flower opportunity. Purple agastache pairs nicely with Hakonechloa ‘All Gold’, Asclepias tuberosa, Achillea ‘Moonshine’ and Amsonia hubrichtii. 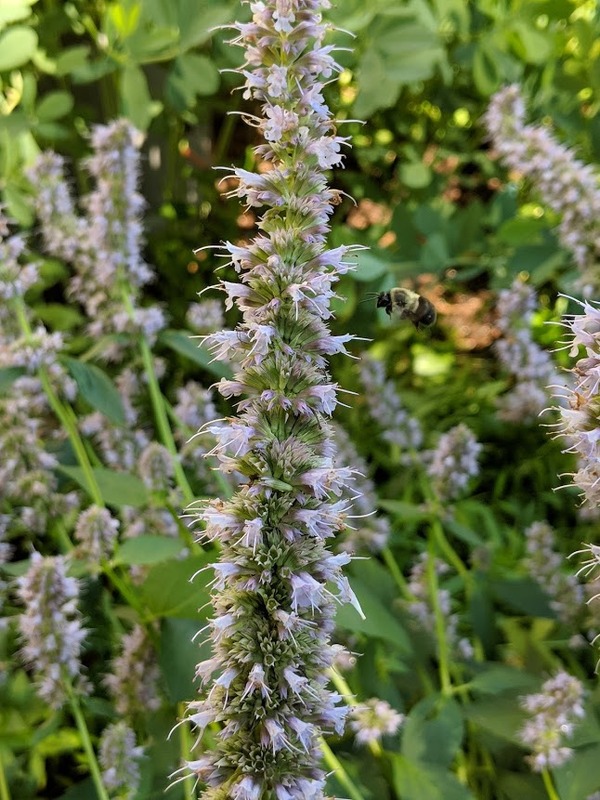 Feel free to reach out to me if you are in the Nashua/Hollis area and interested in adding native Agastache to your garden!